The first annual Ka’anapali Fresh food and wine festival has already had us enjoying a progressive dinner along the beach, a luncheon to showcase locally-grown ingredients, and a farmers market by the sea. Yesterday we met Marilyn Jansen Lopes from Maui Country Farm Tours who took us up to the old sugar can plantation which is now the home of MauiGrown Coffee. Our group’s bus ride up to the red dirt slopes of the farm took just 10 minutes from our pickup location at The Whaler at Ka’anapali Beach. In that time, Marilyn went through a brief history of coffee — from its origins in Ethiopia to how it came to be in Hawaii during the 19th century. 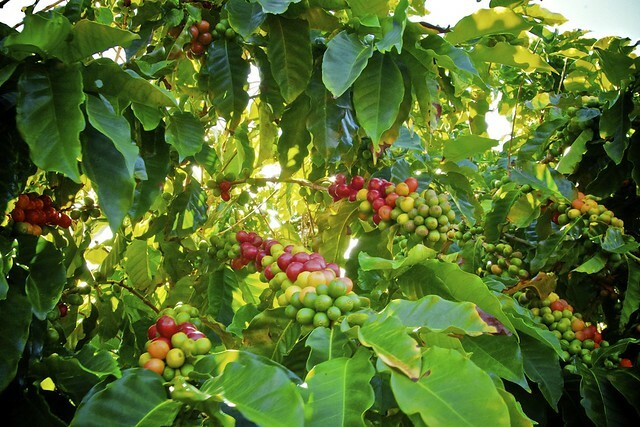 The beans grown on Maui are all Arabica in origin, in particular the Mokka variety. 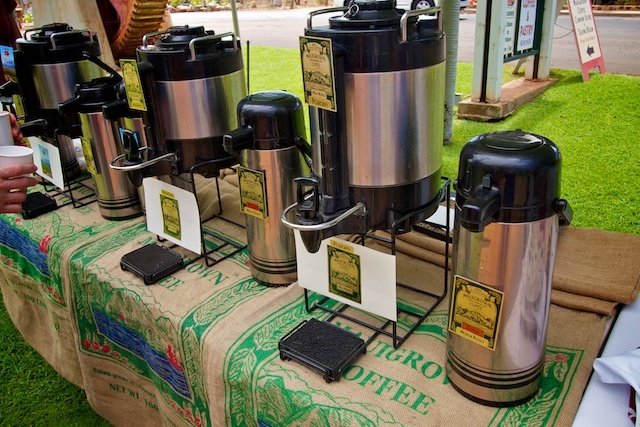 Hawaii has a host of coffee companies such as Kona, Kauai Coffee Company, and Molokai but MauiGrown is the only one on Maui. 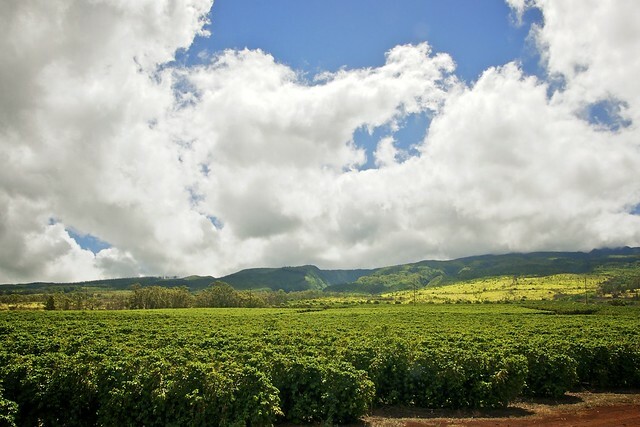 The fields at MauiGrown are all drip irrigated from fresh sources up in the valley, the coffee trees are grown in rich volcanic soil, and the offer four different varietals. 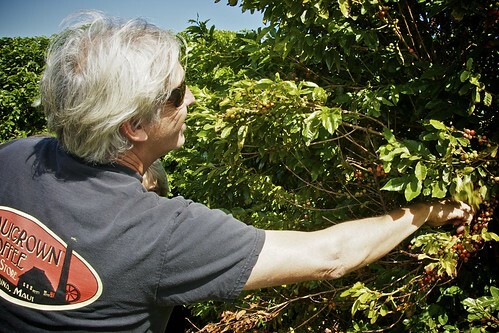 We stepped out between the rows of the coffee plants on the 500-acre farm and under the instruction of MauiGrown’s founder, James “Kimo” Falconer we picked a few cherries to sample the raw beans. 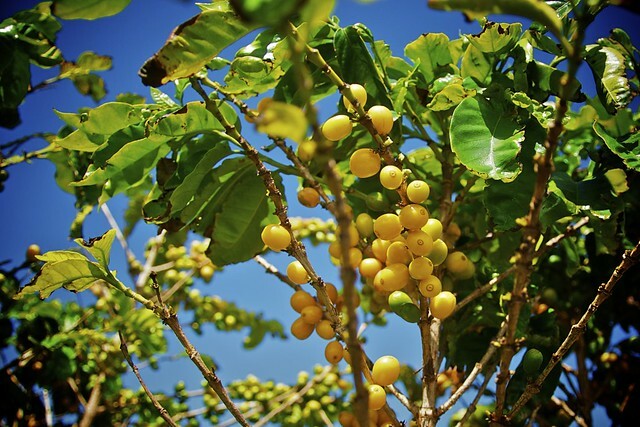 Plump Mokka cherries with soft green beans, groves of Red Catuai (known as the “Cabernet of Coffee”) and branches weighed down with Yellow Caturra (which has spicy overtones). 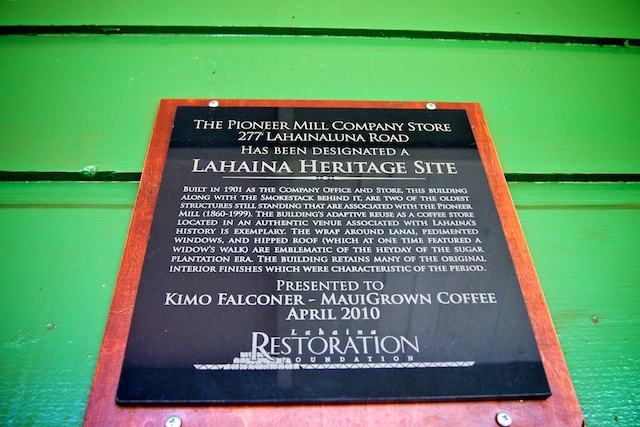 The beans are harvested by machine and milled down by the MauiGrown Coffee Company Store — next to the big heritage sugar cane mill tower you’ll see on Maui when you head into Lahaina. Kimo said half of their crop stays on Maui but the rest is sent to Japan, Korea, and every state in America. They sell to roasters, popular coffee franchises who make their own blends and to the public through their online store. They even had a couple from Beaverton, Oregon come by last week to check out the operation as they were opening up a small coffee shop and wanted to see the source of their beans. From the farm, the tour bus drove us down to the company store where Dania Katz from Edible Hawaiian Islands magazine had prepared us a lunch of Thai pulled pork buns, dragon fruit slices, fresh pineapple topped with toasted coconut, and of course samples of MauiGrown. 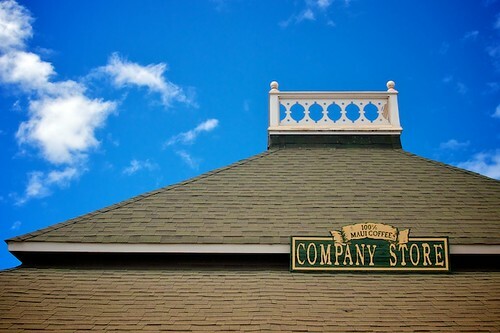 The company store is fully stocked with all varieties of MauiGrown (beans or ground), coffee accessories, flavoured coffees, chocolate-covered coffee beans, and more. There’s also a cafe counter where you can order iced coffees and delectable coconut and chocolate treats. 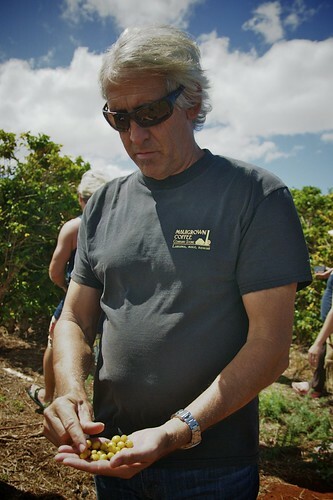 Driving back along the palm-lined boulevard to Ka’anapali, listening to Marilyn strum her ukulele at the front of our tour bus, I savoured our rare farm-to-cup experience. 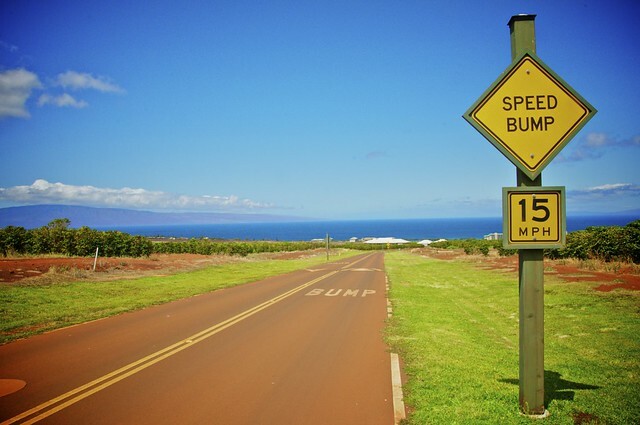 Marilyn and her husband Rick host a variety of tours including morning and afternoon “up country” tours or full-day adventures that lead you to destinations like Pineapple Country, Maui’s winery, the lavender farm, and the Surfing Goat Dairy. 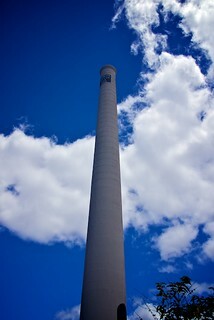 Follow Maui Country Farm Tours on Facebook and Twitter for more information. This is not a paid post. Our Ka'anapali Fresh experience is compliments of the Ka'anapali Beach Resort Association. View and opinions are my own. 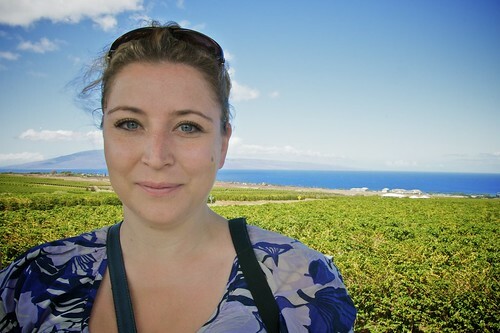 Thank you for the beautiful post about the #KFreshMaui Ag-Tour. 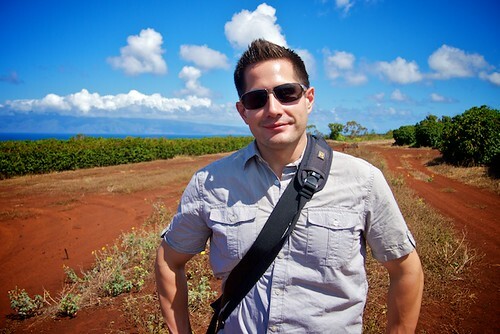 You took some gorgeous shots of the amazing Kaanapali Coffee and James Kimo Falconer. 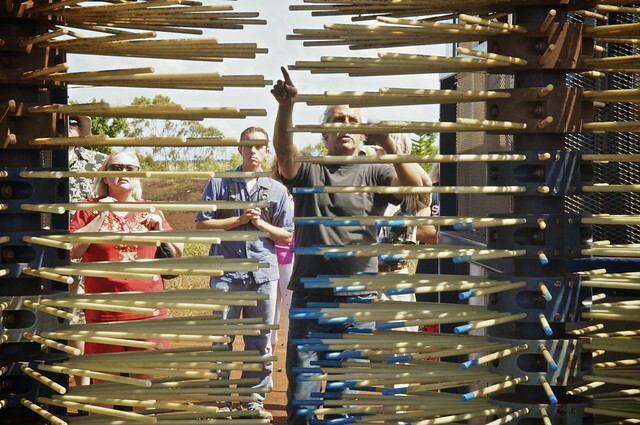 I really enjoyed sharing Maui’s Agrucultural Beauty! Awww! You look really nice in that picture Rebecca!!! Nice to find and read your post. Nicely written. The images are awesome. Thanks for sharing your wonderful experience with us. 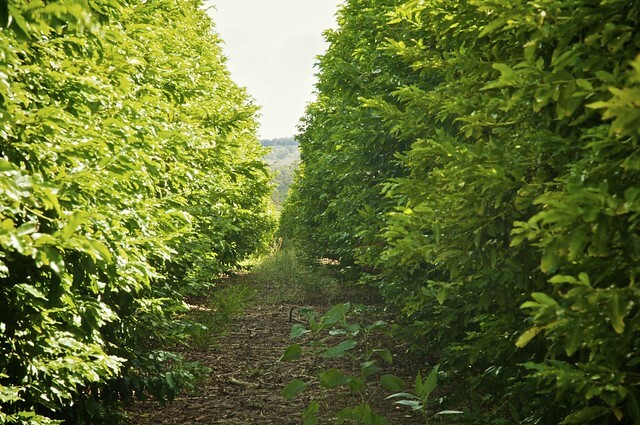 Enjoyed the agricultural beauty of Maui’s through this post and like to suggest you to visit Kona Coffee Tours, The World’s first Trellised Kona Coffee Plantation where kona coffee is grown like wine grapes.